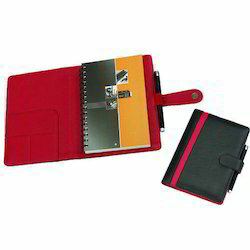 Size: 6" x 4½" x 1"
With the help of professionals, our firm is accomplished to provide Non Leather Planner in diverse specifications. Our presented products are enormously employed owing to their longer service life and durability. We are a well-known Manufacturer, Trader and Supplier an exclusive range of Laptop Bag, Executive Bag and Training Bag, etc. These products are of the highest quality standards and they meet the expectations of our esteemed customers. We offer power tool- planner 1911b. We deal in international standard power tools, which are made up of high quality raw material. 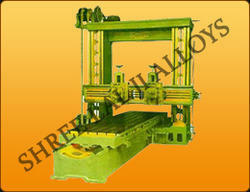 The power tools offered by us are high in strength and give long performance. We offer a wide variety of power tools. We have a wide range of power tools, which are extensively used in various industries for various purposes. Benefits:Helps you to set & track your goals in all areas of your life to be a "Complete Person". Rust free/sturdy operation. System is operated at varied velocity from 9 m/hr to 25 m/hr to obtain required water quality and can be used for various applications. FRP filters are available with the options of individual ball/ butterfly valve or multiport valve as required by customers and based on application.